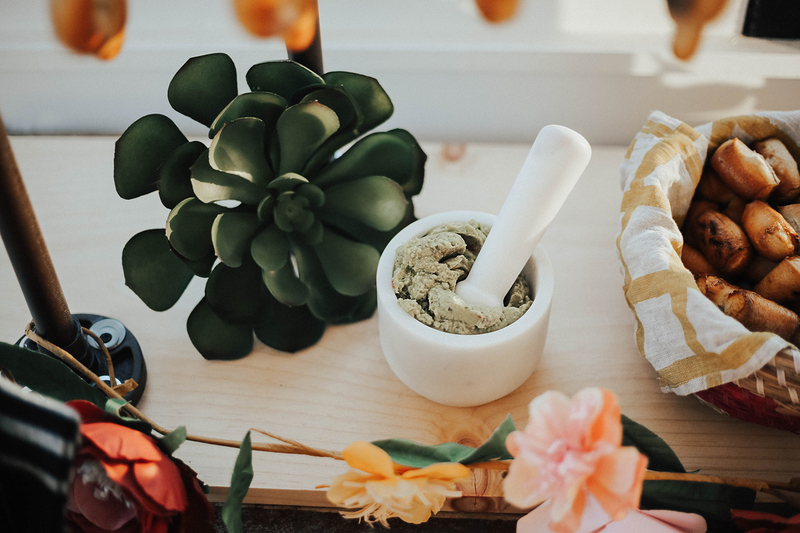 With Cinco de Mayo just a few days away, I thought it would be fun to shake things up and serve something a bit different on this festive holiday. 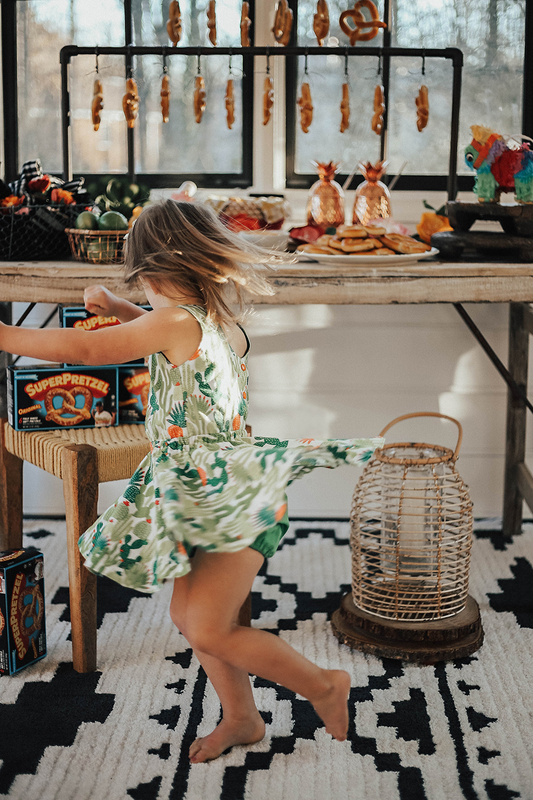 Going out to enjoy holidays has definitely changed over the years, especially since our kids can be a little wild. Instead, we celebrate at home with friends, yummy food, drinks, and music. 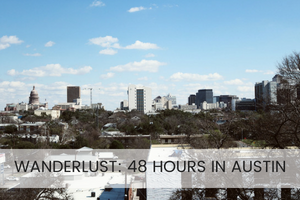 It’s nice because we can schedule gatherings around nap time and bedtime. 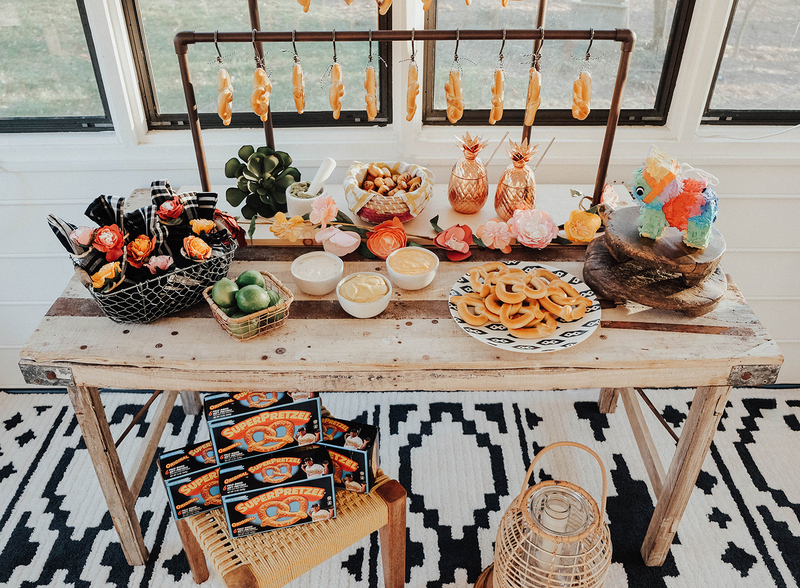 For this fun Cinco de Mayo tablescape, I wanted to create a snack bar that had a bit more substance than your usual chips and salsa, and wanted it to be family-friendly! 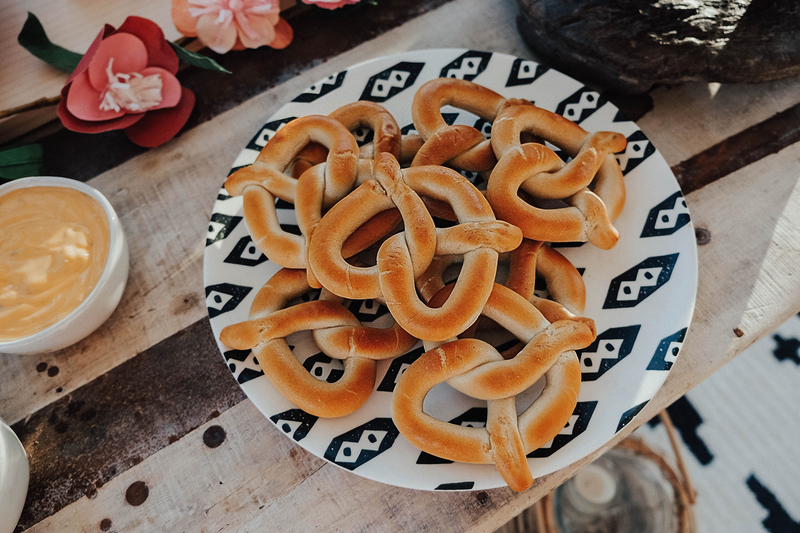 SUPERPRETZEL Soft Pretzels are my go-to for delicious, easy to make snacks. They’re great for after school, sleepovers, and movie nights. 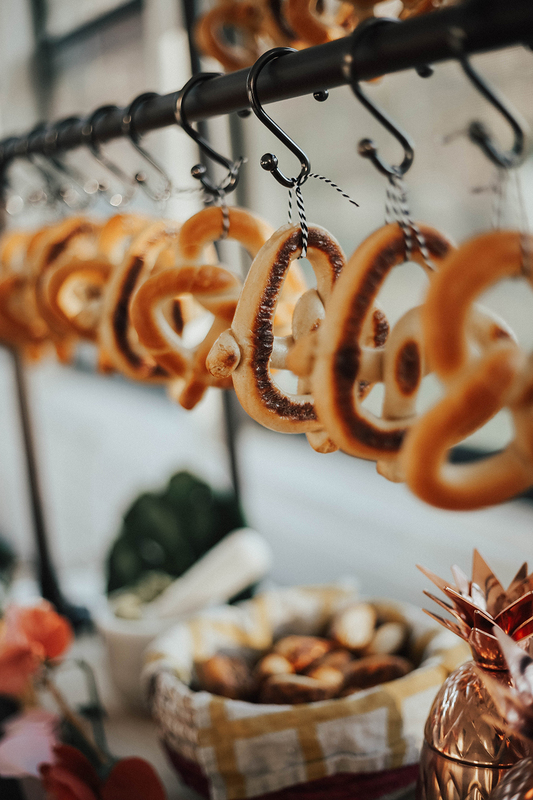 They are fully baked soft pretzels which and take only seconds to prepare. 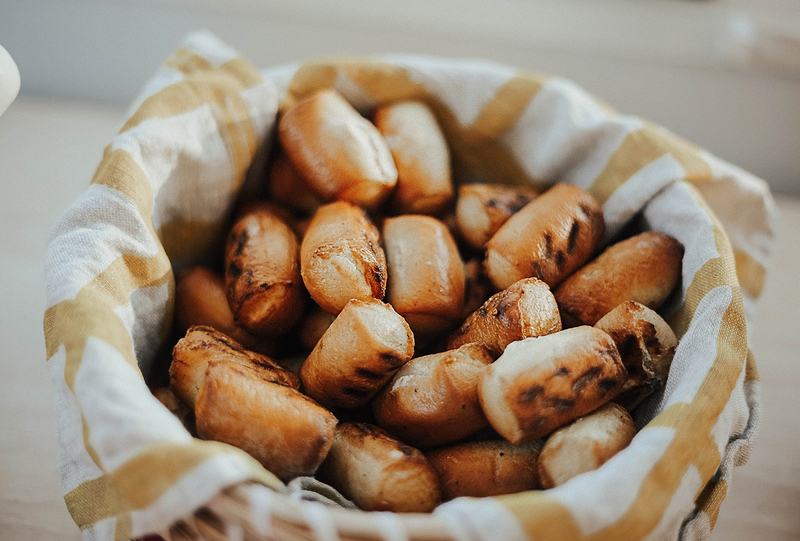 Since they’re frozen, you don’t have to worry about them sitting out on the counter going bad and can heat up as many or as few as you need to. Salt packs are included which is super convenient because, in my experience, regular salt does NOT taste like pretzel salt. 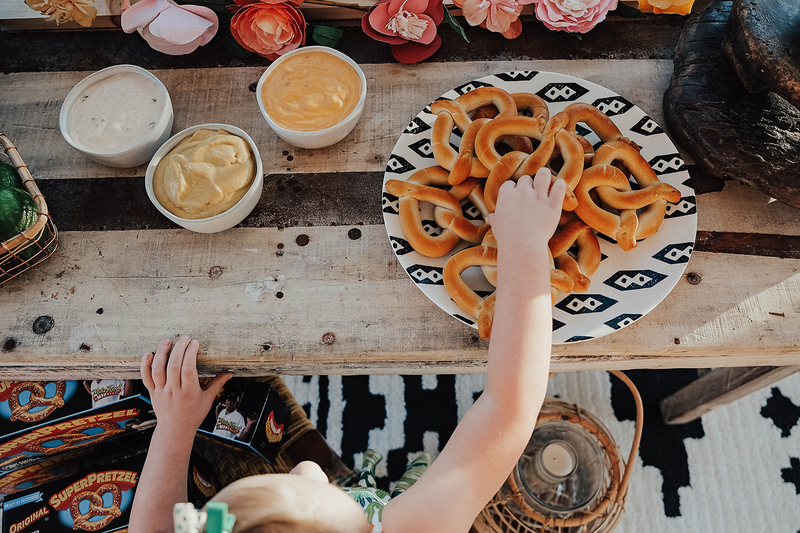 I knew SUPERPRETZEL Soft Pretzels would be the perfect centerpiece item for this spread. They taste amazing dipped in fresh guacamole, salsa, queso and even with fresh lime juice squeezed over them. My husband built this adorable pretzel holder out of 1/2″ PVC pipe which I spray painted a dark bronze. 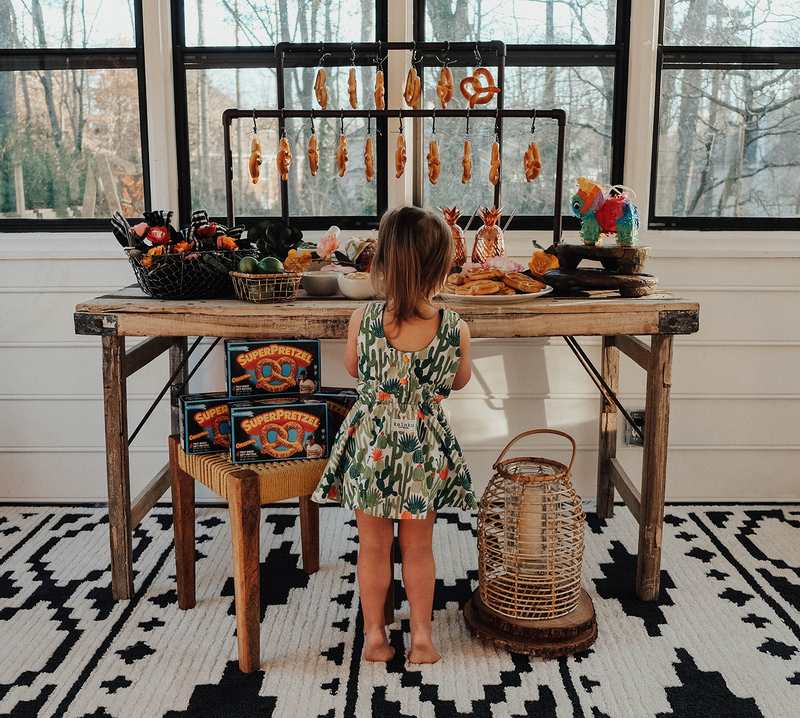 I used shower curtain hooks and black and white bakers twine to hang the pretzels. 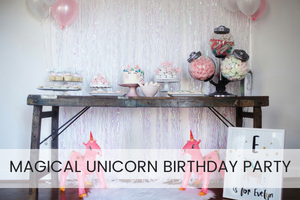 What I love about this tablescape is that it definitely can be done on a budget and you can buy everything premade. I don’t have a ton of free time to make my own cheese dip or guacamole, so if I can buy something already made, I’m all over it! 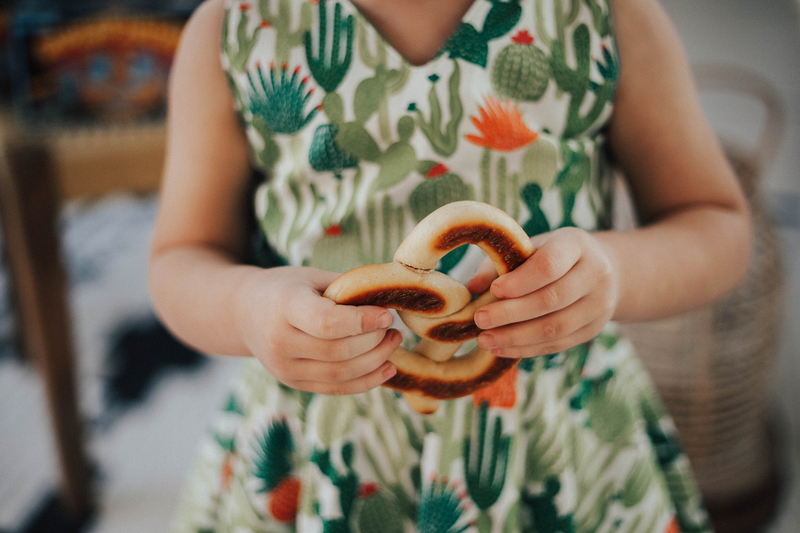 In addition to the classic pretzel twists, SUPERPRETZEL also makes a Softstix Cheddar Cheese Filled Soft Pretzel Stick which has become a household staple. 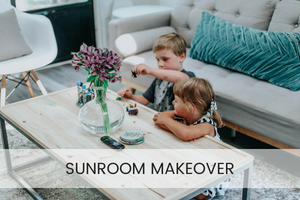 The kids love to snack on them after school and I love the convenience. For a limited time, you can save $0.50 off SUPERPRETZEL Original 6 count. 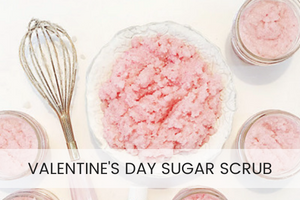 Click here to download the coupon (desktop only). How do you celebrate Cinco de Mayo? Do you prefer an early night at home or going out? 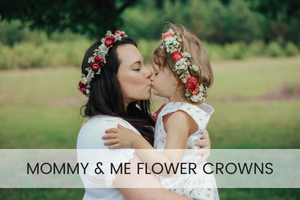 Leave me a comment and be entered to win a $100 Visa gift card! I am OBSESSED with this little hanging wrack!!! Also we LOVE soft pretzels! They are always a crowd pleaser! We don’t normally go out. Wow! So many ideas I’d like to try! This looks like a fun gathering! I am a homebody so I prefer to celebrate Cinco de Mayo at home with a few friends. 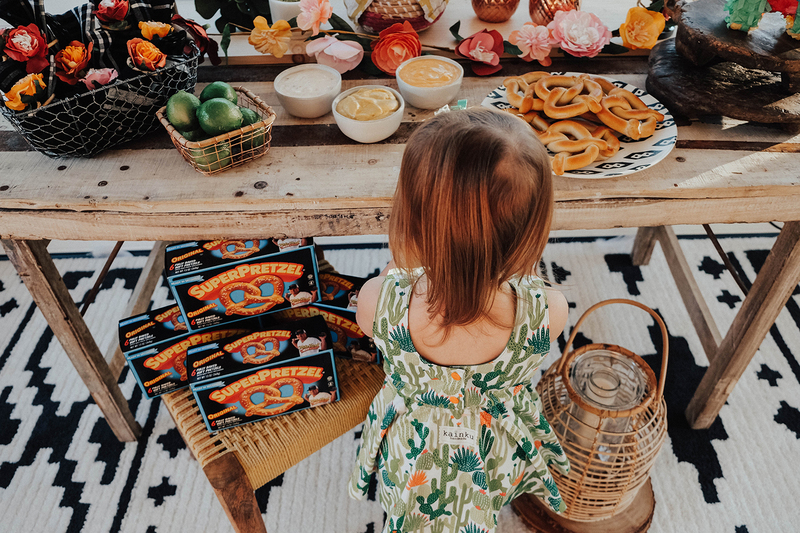 We snack on guacamole and chips. All I need is some queso to make a GREAT cinco de mayo! 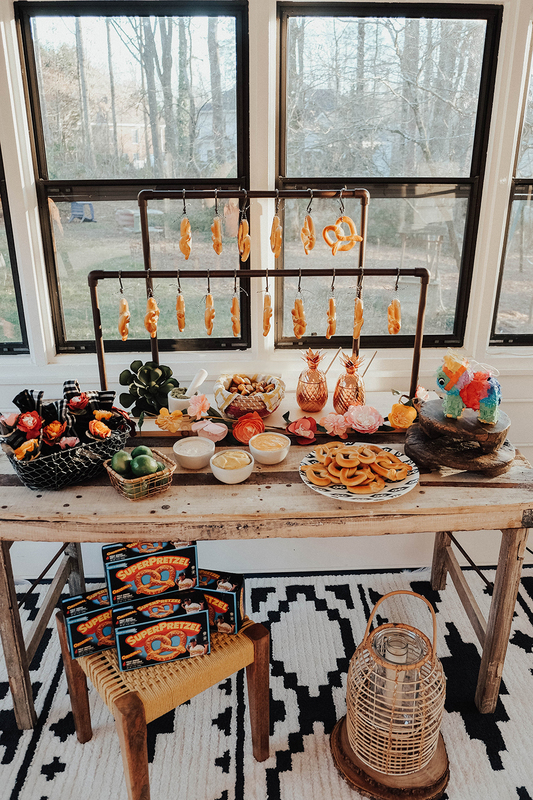 We didn’t celebrate Cinco de Mayo, but I love the idea of putting out a pretzel bar for a serve-yourself party. 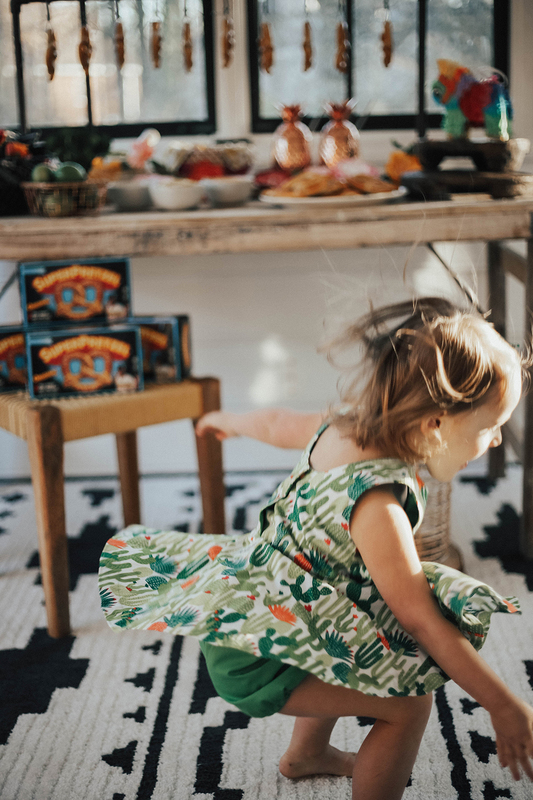 This year we celebrated Cinco de Mayo as a family with a nacho bar. I made up a few different meats, various cheeses and dips including salsa and queso. The kids love meals like this with various options that they can choose for themselves! I posted a tweet: https://twitter.com/FireRunner2379/status/994017750619246593. I like to make homemade tortillas, guacamole and chicken fajitas for Cinco de Mayo. 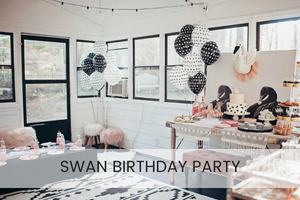 I love to celebrate at home with family and friends rather go out to party. My mom has been sick lately so I’d rather stay in with her. I love to celebrate at home with family rather go out to party. I made tacos, enchiladas and tamales served with strawberry Margaritas. We celebrate at home with friends and family. We normally celebrate at home. My daughter-in-law from Mexico cooks us a feast. We like to go out to dinner on Cinco de Mayo. We don’t really go anything special for Cinco de Mayo, actually. We sometimes go out and sometimes we host at our house for friends and family. we love having a huge gathering! I prefer to have a taco night at home. We like to have taco night on Cinco de Mayo. I usually celebrate at home with my son. I love to stay at home, and now that I just had my baby we enjoy some delicious home made food. We normally celebrate at home. Those pretzels looks delicious! For the past two years we’ve had wedding on Cinco De Mayo which is crazy! Usually if we don’t have a wedding or some other event we at least cook Mexican food or go to our fav Mexican restaurant! We do a huge cookout. We usually celebrate at home with friends and family. Sometimes we go out for dinner. We love going out for margaritas! We usually don’t do anything. Sometimes, I’ll make a special dinner for my family, but we don’t go out. we celebrate with nachos and margaritas! I make chicken enchiladas or grilled chicken fajitas with homemade guacamole. 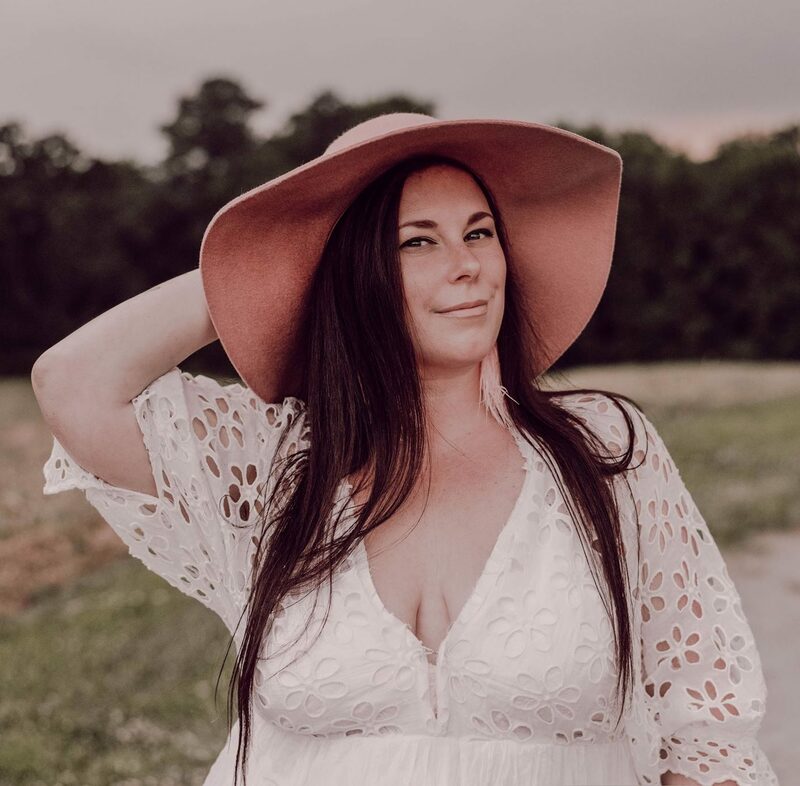 Cinco de Mayo is my daughter’s birthday so we celebrate her. this year for the birthday menu we had chiles rellenos, fajitas, guacamole, rice, charro beans and queso fundido. Thanks for the chance to win! We celebrated cinco De mayo by eating at the local mexican restaurant. we love going out to dinner! We do not actually celebrate this holiday. I love multi-cultural foods and art, etc. but I do not celebrate their holidays unless I have a personal connection to them myself. I love to learn about stuff like this though. Thanks for the chance to win! We go out to eat Mexican food for Cinco de Mayo. I love celebrating with my family and with tons of food!